Premium comfort and protection for winter. 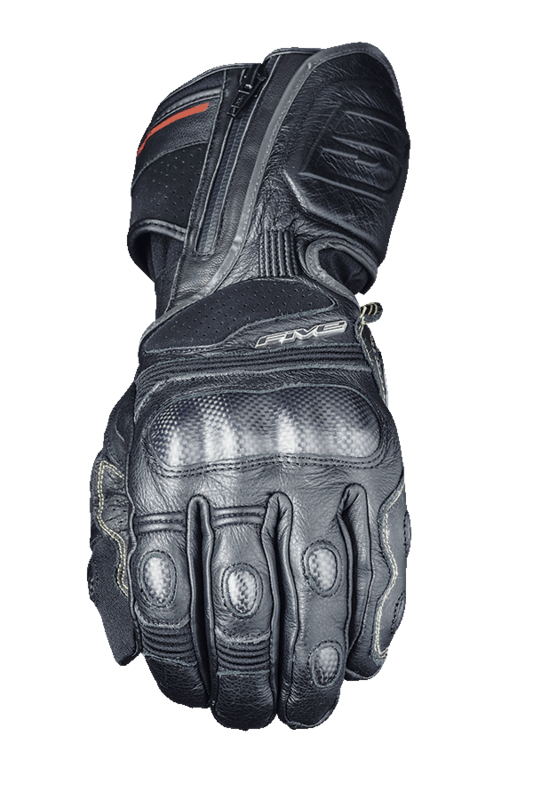 The WFX1 WP sets itself apart with an impressive fit for a winter glove. The ideal combination of protection, comfort and precise steering control. Leather structure. High level of protection with it carbon shells on knuckles, fingers and palm. Its OutDry® weatherproof, breathable membrane and its Thinsulate™ 200 g lining offer optimal insulation. 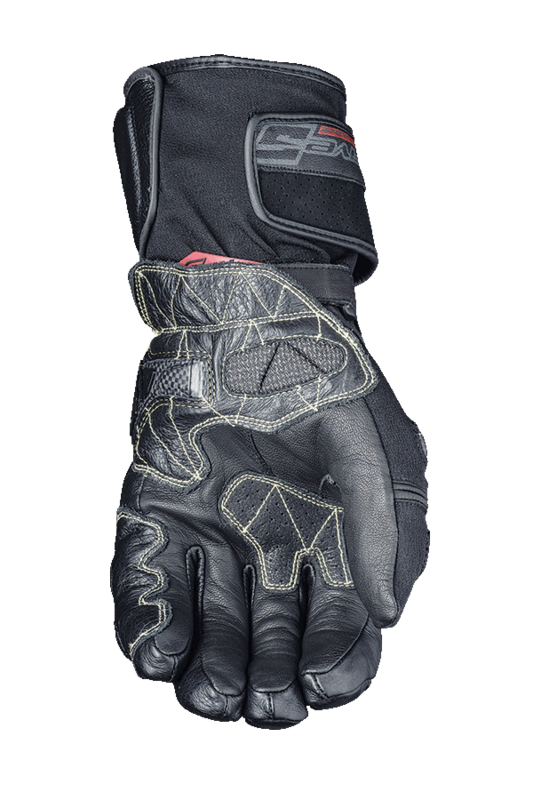 Kevlar® seams throughout the palm combined with a foam “shock absorbing” pad. Digital Pittards® grip reinforcement patches on steering control contact surfaces for maximized grip in wet weather. Double closure system. Protective flap over adjustment strap (prevents the strap from breaking or releasing in a fall) based on Racing gloves. Heat-insulating cuff gusset to keep warmth inside the glove. Cordura™ Stretch gusset on topside for optimized comfort and fit. Reflective strips on index and middle finger. Padded leather and “shock absorbing” foam reinforcements for forearms. The WFX1 is a real must-have style designed for long-distance rides.